I think this recipe is absolute GENIUS!! If you have little kids who are afraid of the dark, scared of monsters in the closet and wary of the boogieman under the bed, restless before bedtime, this spray could bring them peace of mind and a good night’s sleep. The spray is genius for a number of reasons. First, it’s reassuring to kids to have a spray that repels anything they’re afraid of They believe in magic and having a spray like that makes perfect sense. Secondly, it physically relaxes kids because you can use an essential oil like lavender that is calming. Finally, the recipe could not be more simple to make. Excellent idea and recipe! 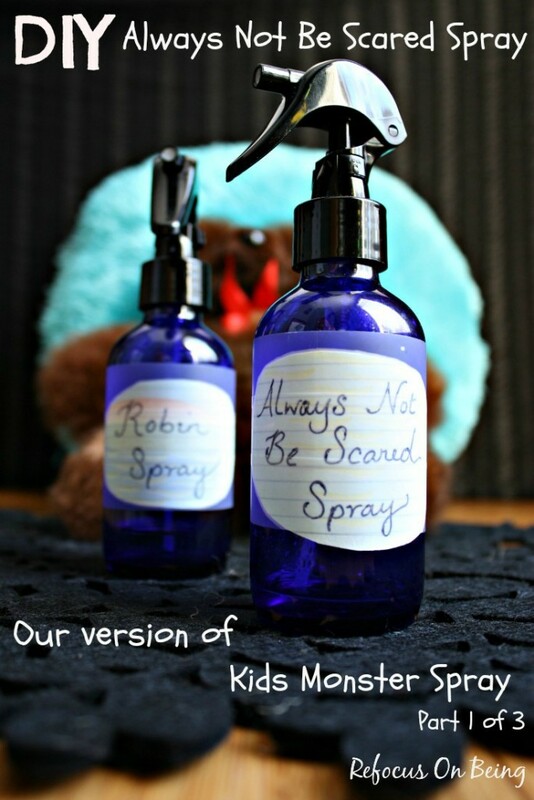 To see this terrific article, visit the Homemade Monster Repellent Spray Recipe for Kids link below.